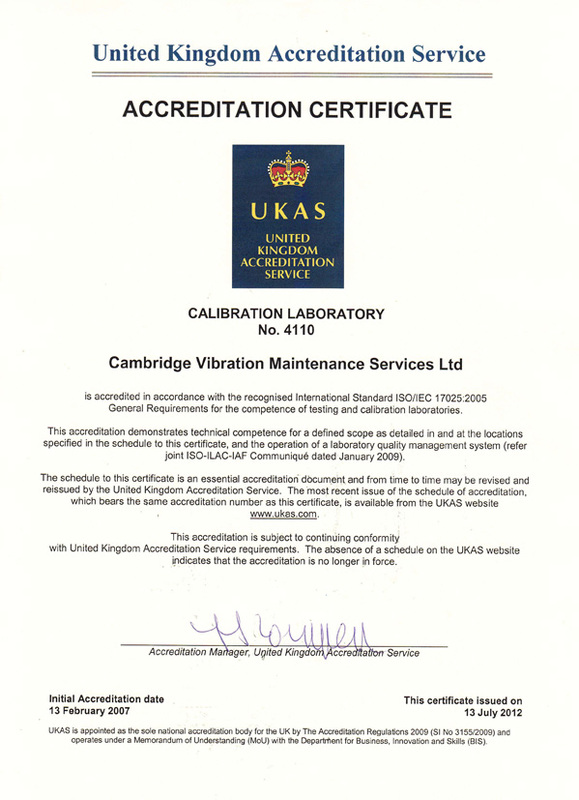 CVMSL are able to offer calibration services for the majority of control and monitoring equipment used in the vibration testing industry, either at the customers’ lab or at CVMSL. Our technical expertise extends to the calibration of analogue and digital vibration controllers, PC based controllers, data acquisition, spectrum analysers, vibration meters, pocket meters, high accuracy charge amplifiers, frequency analysers, and ANY make of accelerometer such as - PCB Piezotronics, Endevco, Dytran, Vibra-Metrics and Monitran to name but a few. 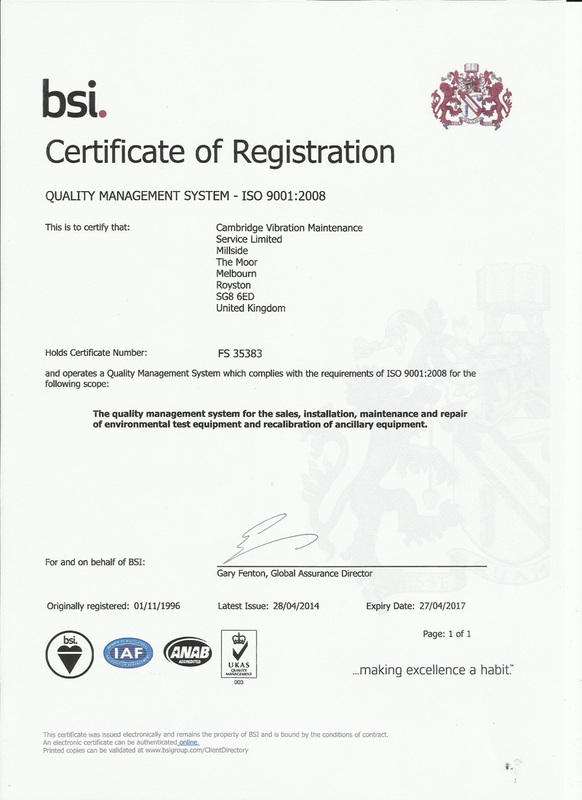 CVMSL is a UKAS Accredited Calibration Laboratory for vibration accelerometers and works to the latest BS EN ISO 9001:2008 / IEC 17025 international standards ensuring traceable and accredited calibration of most types of vibration control, monitoring and signal conditioning equipment. Customers also benefit from its close links with all major OEM manufacturers that support CVMSL with the supply of genuine spare parts, all at competitive prices.